The Burrow0208 7880832work Self-cateringHaving recently been upgraded to provide modern amenities sleeping 8 comfortably + 2 children on futons, the property is perfectly placed less than a five minute walk to the beautiful beaches & fabulous link golf course at Old Hunstanton. The Royal & West Norfolk Golf Club & Brancaster Sailing Club are just a 10 minute drive away, as are the RSPB nature reserves of Titchwell and Snettisham. The coastal path is at the top of the drive. Old Hunstanton has a local village stores & post office which sells fresh produce including freshly baked bread & croissants, beach café, a number of pubs & restaurants including The Mariners Inn which has a super lawned garden which runs right down to the sand dunes & beach! Great beaches for kite surfing and Windsurfing are within a few minutes walk of the house. Spacious entrance porch with plenty of storage for boots, coats & golf clubs etc. Kitchen / Breakfast Room: Superb modern, recently refitted breakfast kitchen with built in appliances including; Double oven & gas hob. Dishwasher, microwave & freestanding fridge/freezer. Breakfast bar + 3 bar stools. Utility Room: Spacious utility room with washing machine/dryer. WC. Lounge/Dining Room: A spacious light & airy room with open fire. Grand dining table and seating for 8 - 10. TV DVD player. Selection of games. 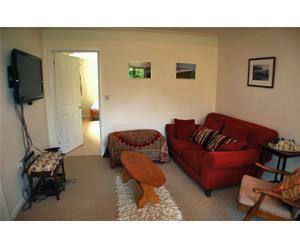 2nd Sitting Room: Comfy sofa, chair & chaise longue. Wall mounted flat screen TV with full SKY package. Piano. Internet Wireless Router. Bedroom 1: Twin bedded room + en suite bathroom with power shower. Bedroom 2: Twin bedded room + en suite bathroom & French doors to rear patio. Master Bedroom: A spacious room with a king-size bed, views overlooking the garden. WC and pedestal wash hand basin. French door leading to large south facing roof terrace. Twin Room: A lovely good sized room with 2 single beds & lovely views. Family Bathroom: Family bathroom with bath & shower over, pedestal basin & WC. There is a travel cot and high chair available. Having recently been upgraded to provide modern amenities sleeping 8 comfortably + 2 children on futons, the property is perfectly placed less than a five minute walk to the beautiful beaches & fabulous link golf course at Old Hunstanton. The Royal & West Norfolk Golf Club & Brancaster Sailing Club are just a 10 minute drive away, as are the RSPB nature reserves of Titchwell and Snettisham. The coastal path is at the top of the drive. Outside: A long gravelled driveway leads to the property providing plenty of off road parking. There are lawned gardens to the side and rear of the property with a patio and table and chairs provided for 8 people. A BBQ, 3 bicycles and table tennis table are also provided for guests use.